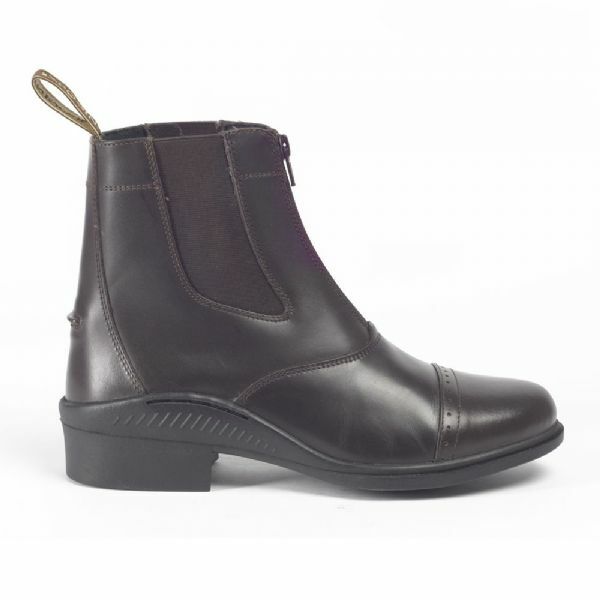 The Brogini Tivoli zip jodhpur boot is a well priced short riding boot made from high quality smooth leather. With a zip along the front and a brogini branded pull tab for easy on and off. The toe features a reinforced leather panel which is disguised with an attractive brogue design.